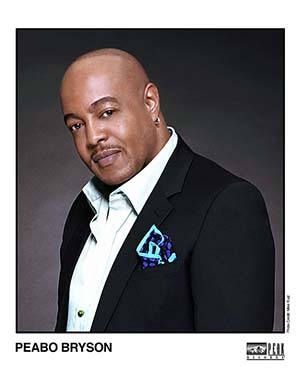 TORRANCE, CA, July 10, 2015 – Grammy Award-winning vocalist Peabo Bryson will serenade guests at the upcoming “Honda Evening Under the Stars” 29th Annual Gourmet Food & Wine Festival. The long-standing South Bay tradition will offer an enchanting evening of the South Bay’s best cuisine and more than 80 varietals of wine, all for the purpose of raising funds for non-profit Torrance Memorial Medical Center. The event takes place Saturday, August 1, 2015 at American Honda’s Torrance campus. This marks the tenth consecutive year Honda has chosen Torrance Memorial as beneficiary of Evening Under the Stars. In that time, the event has raised more than $1 million for Torrance Memorial. Last year nearly 1,000 community members attended, with $130,000 of the evening’s proceeds donated to Torrance Memorial. The Festival, presented in partnership with the Torrance Area Chamber of Commerce, will take place from 6 p.m. to 9:30 p.m. Tickets are $150 per person, $250 per pair or $4,000 for table sponsors (10 guests per table). They can be purchased by calling the Torrance Memorial Foundation at 310-517-4703, the Chamber at 310-543-3113, or by visiting www.TorranceMemorial.org. This marks the tenth consecutive year Honda has chosen Torrance Memorial as the event’s beneficiary. In that time, Evening Under the Stars has raised more than one million dollars for Torrance Memorial. Last year nearly 1,000 community members attended, with $130,000 of the evening’s proceeds donated to Torrance Memorial. Professional sommeliers from The Disneyland Resort will be on hand to educate guests about wine. For an up-to-date list of participating restaurants, entertainment details and other event information, visit the Festival’s Facebook page at www.facebook.com/eveningunderthestars. As part of the event’s festivities, guests will have the opportunity to participate in a silent auction for exclusive items and experiences, including entertainment packages, sporting events and memorabilia, dining, travel, local outings and specialty items. Founded in 1925 by Jared Sydney and Helena Childs Torrance, Torrance Memorial Medical Center is a locally governed, 446-bed, nonprofit medical center established to provide quality healthcare services, predominantly to the residents of the South Bay, Peninsula and Harbor communities. Torrance Memorial seeks to offer the most current and effective medical technologies rendered in a compassionate, caring manner. In 2012, it joined the ranks of the top hospitals in the nation by earning coveted Magnet® recognition from the American Nurses Credentialing Center, which recognizes nursing excellence. Torrance Memorial has also been ranked as one of the best hospitals for 2014-15 in California and the Los Angeles metro area for the third year straight by U.S. News & World Report, placing the hospital in the top 6 percent in the state. The report recognized Torrance Memorial for providing high performing and quality care in seven specialty areas: diabetes/endocrinology, gastroenterology/GI surgery, geriatrics, gynecology, nephrology, orthopedics and urology. For more information please visit: www.TorranceMemorial.org. Honda is one of the world's leading producers of mobility products including its diverse line-up of automobiles, motorcycles and ATVs, power products, and marine engines. More than 90 percent of Honda and Acura vehicles sold in the U.S. are produced in North America, using global and domestically sourced parts. Honda is committed to supporting the communities where we work and live. Through a broad range of community initiatives, charitable giving, foundation grants, and volunteerism, Honda seeks to create value for society and bring joy to people’s lives.